A little more work on the drivers enclosure today plus progress on building the engine. Yes, it's got a Hemi. Partially plumbed and not yet wired. IRL a race car would have been required to have high pressure rubber or braided steel fuel lines but this is a Team Stoopid car and red plastic is good enough for them. That's awesome, TWIN 6-71s as well! 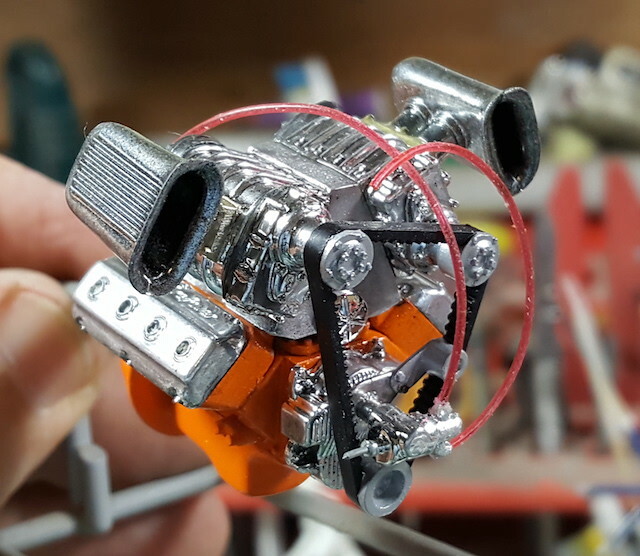 That's the optional engine set up from the AMT '53 Studebaker Starliner kit. "Double Whammy" as the decals put it. Ladeez an gennulmen <drum roll>the engine is in the chassis. 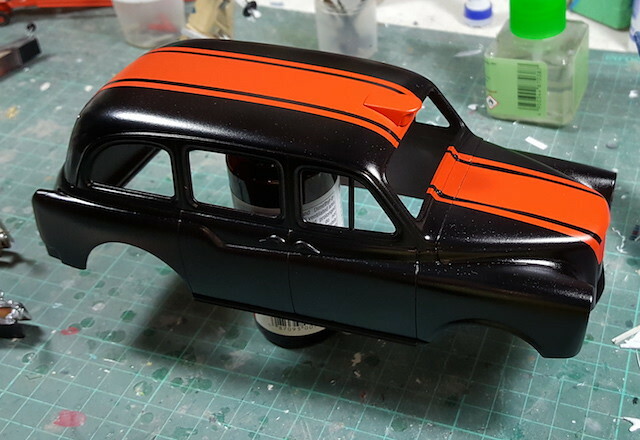 Now I can make progress with the interior. How much do you bet that Fred'll fit the taximeter too? The race driver would have to flip it on just before the Christmas Tree counts down. I hadn't thought of that Kit. Good idea. Will you be doing a drag moped for when drivers are learning all drag strips . Now i've finished the FW-190 I can concentrate my effort on the Stoopid Taxi. 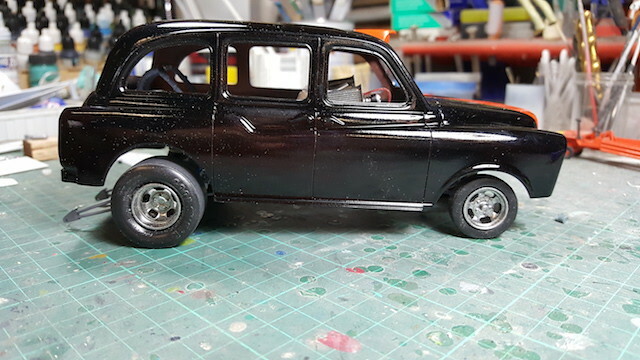 Today I detail painted parts of the chassis, attached pedals, assembled & attached PE six point harness and attached the drivers seat/firewall module to the chassis. This has enabled me to sit the body on the chassis, set its attitude and think about how to make the hinge.